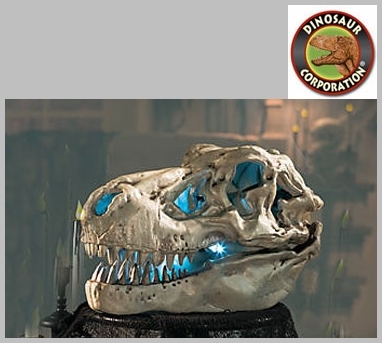 Large T-rex Skull for Sale | T-rex Fossil Replica Light Up with Roaring Sound 19"
Home | PARTY SUPPLIES | DINOSAUR PARTY | Large T-rex Skull Light Up with Roaring Sound 19"
Large T-rex Skull Light Up with Roaring Sound 19"
This T-rex skull fossil replica lights up and roars ferociously. 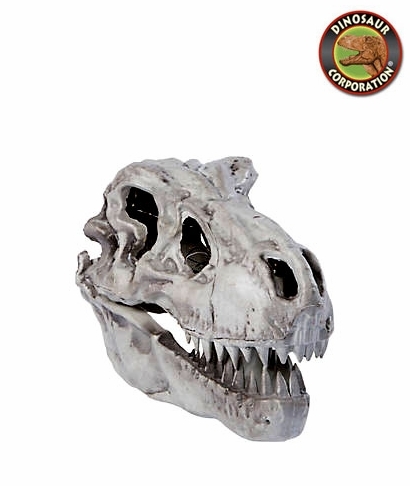 A perfect gift for dinosaur enthusiasts. Tyrannosaurus is a genus of coelurosaurian theropod dinosaur. The species Tyrannosaurus rex, often colloquially called simply T. rex or T-Rex, is one of the most well-represented of the large theropods. Lived 83.6 million years ago - 66 million years ago in Cretaceous period. Height: 15 � 20 ft.